I am currently in China, on one of my annual work trips teaching and giving masterclasses, as well as working on a very exciting new educational and communication project for the future. This is mainly why I have not been attending very much to Riviera Wine Academy, and indeed this blog. Yesterday I was treated to a visit to the original Changyu wine facility in Yantai. Having travelled widely around central and eastern China, I have to say that the seaside city of Yantai is one of China's most lovely (along with Tsingtao and Dalian), and the Spring time weather, with the fruit blossom on the trees, is perhaps the nicest time of year to visit. Changyu is the oldest of China's wine producers, and it might surprise you to discover that it was founded in the 19th Century, in 1892, with original vines from pre-phylloxera Bordeaux, including a variety thought until recently to be unique to China: Cabernet Gernischt. It transpires that this is the same as Carmenere, now famous from Chile, and replanted in Bordeaux. However, grape vines change and develop over time, meaning that - just like Primitivo and Zinfandel - although Cabernet Gernischt and Carmenere are genetically the same, they produce different styles of wine. In fact Cabernet Gernischt produces wines rather more in a Bordeaux style, so perhaps the Bordelais should replant that! 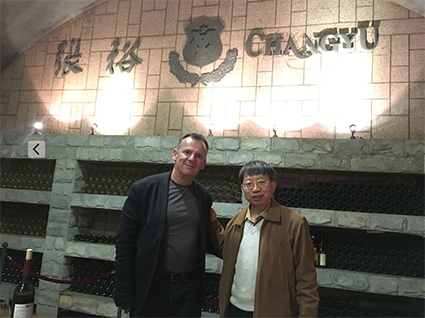 Originally Changyu was founded with the help of a winemaker from Austria, Max von Balboa, and this has delightfully come full circle with the wines of Changyu's property in Ningxia, China's most recent and exciting wine region, being made with Lenz Moser, one of Austria's most celebrated winemakers today. 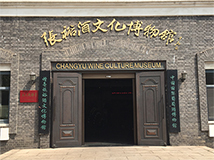 As well as winemaking facilities abroad in France, Italy, Spain and New Zealand, Changyu operates in six of China's regions: Beijing, Ningxia, Xinjiang, Shandong (Yantai), Liaoning and Shaanxi. In 13 winemaking facilities, and from a total of 230,000 hectares of vineyard, they produce an astonishing 156 million bottles per year. 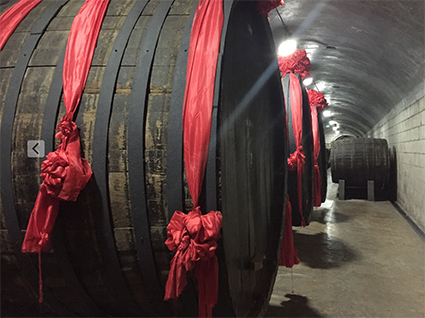 Some 35 million of these are a single brand - which must be one of the world's largest - a Cabernet called Jie Bai Na (Noble Dragon). When a company is making as much as this, they must be doing something right! 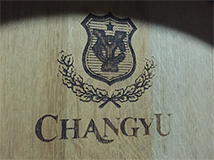 Unlike many large scale wine producers, however, Changyu keeps its separate facilities differentiated from one another and this means that scale does not come at the expense of diversity and quality. I was delightfully astonished by the quality of a wine made in such large quantities. After meeting and tasting with Dr Li Jiming, Changyu's head of winemaking, I was treated to a very delicious lunch (Shandong is one of China's culinary superstar regions) with Tan Shao un (Susan), the Export Manager. It was very refreshing to discover that the export policy is one of recognising and working with local markets, which is why Changyu has had the success in global export markets that has so far eluded so many of China's other good producers. 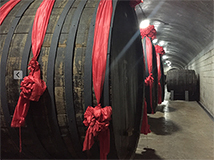 Long may this continue, because China, now the fifth largest producer globally (in all probability), has a lot of wonderful wines to offer, in a massive variety of styles due to its hugely different regions spread across the country. I hope perhaps to re-vist Changyu in future to experience more of the myriad wines they have to offer.